New Delhi: The Department of Animal Husbandry, Dairying and Fisheries in the Ministry of Agriculture and Farmers welfare has declared India free from Avian Influenza (H5N1) from 5th September, 2016. 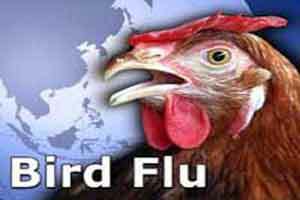 India had notified outbreak of Avian Influenza (H5N1) on 09.05.2016 at Humnabad, Bidar district, Karnataka. There has been no further outbreak reported in the country thereafter. The control measures adopted in the radius of one Km around outbreak location included following. Post the surveillance the state has shown no evidence of presence of Avian Influenza. India has declared itself free from Avian Influenza (H5N1) from 5th September, 2016 and notified the same to OIE. In a letter to the State Chief Secretaries the Center has emphasized the need for continued surveillance especially in the vulnerable areas bordering infected countries and in areas visited by migratory birds.